The everyday mistreatment of animals fosters habits of belief and behavior that makes it easier for us to hurt people and the environment and harder for us to solve problems like inequality, violence, and climate change. Bringing ourselves into better relationship with the other-than-human world, … read more. 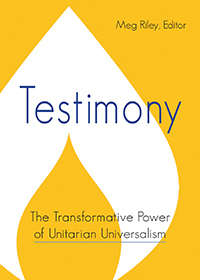 This coming Sunday, April 7, will be the annual combined service for the Hudson-Mohawk UU cluster, held at 11 AM at the Doane Stuart School in Rensselaer, NY. Learn more about the combined service here. A service presented by Andy Houtman on the power of acceptance and forgiveness in the face of the unexpected in our lives. Looking for the Open Heart in All the Wild Places.